Bach Children’s Choir will perform Benjamin Britten’s “Noye’s Fludde” (Noah’s Flood) with Fresno State students, faculty and staff and members of the Fresno Community Chorus Master Chorale at 2:30 p.m. Feb 8-9 at the Concert Hall in the Music Building (5241 N. Maple). Britten composed “Noye’s Fludde” to be performed by a combination of professionals and children. Fresno Community Chorus Master Chorale produced the event in celebration of Britten’s 100th birthday. The hour-long production features Terry Lewis, a library services specialist in the Madden Library Music and Media office, as Noah; and Music Department professors Kathy Blumer as Noah’s wife and Tony Radford as the voice of God. 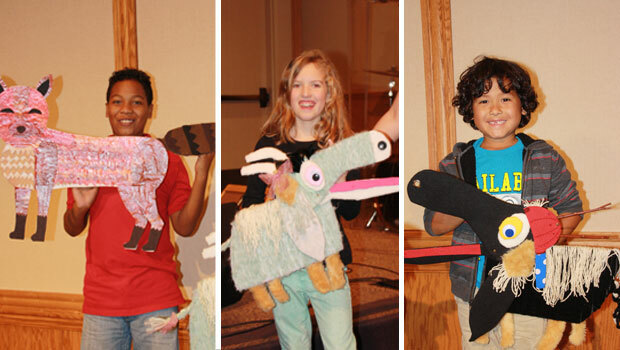 Highlighting the show will be animal puppets prepared by Fresno State theater students under the direction of Professor Kim Morin, who also assists Musical Director Dr. Anna Hamre, the director of Choral Activities at Fresno State. General admission is $5. Seating is limited. Tickets are available at Fresno Community Chorus. For more information, contact Hamre at 559.278.2539 or ahamre@csufresno.edu. (Copy by Ashlie Day, University Communications news assistant).